Have a wonderful Sunday and a great new week! 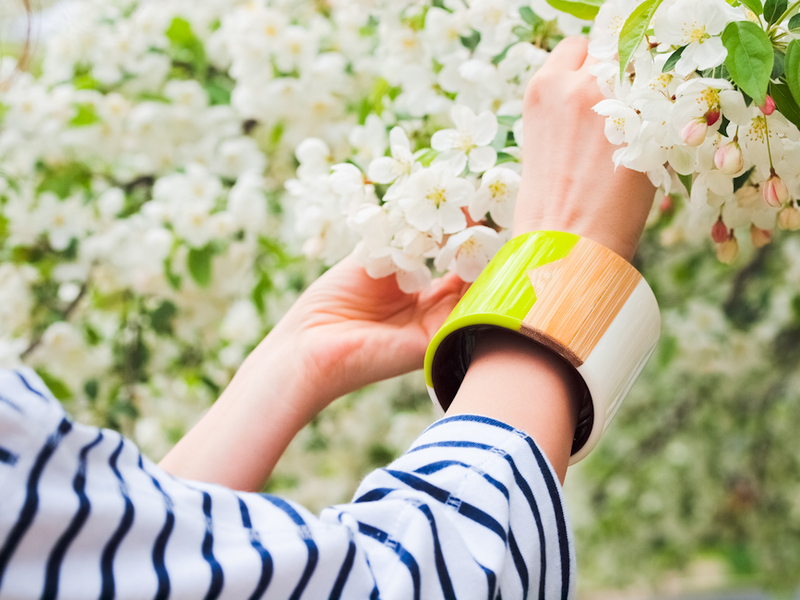 The bracelet is such a fun bold touch in this look. Love those shoes too! Great scene, great combination. Congratulations to you and to the photographer. I love the combination between navy stripes and neon yellow pants! love the look, tres chic! lOVE THIS LOOK AND THE COLOR OF YOUR PANTS. kISSES. 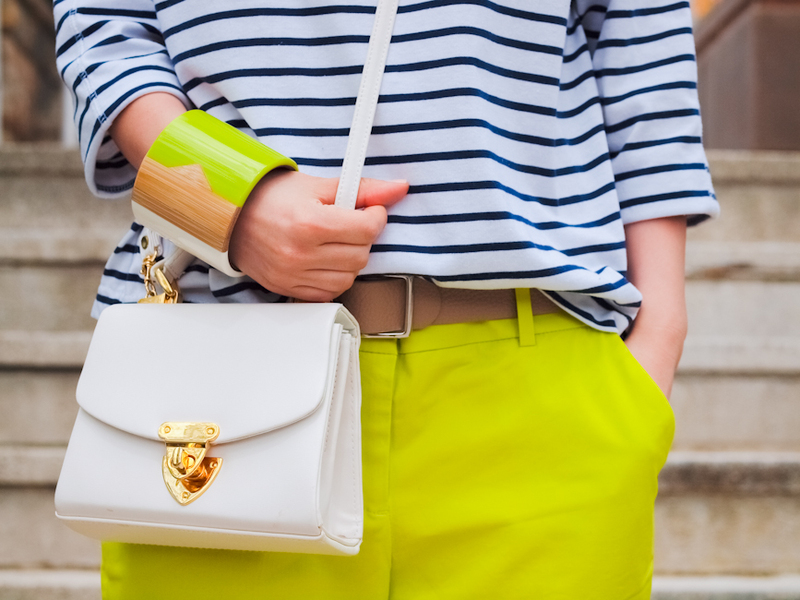 There is something hauntingly beautiful about neon and stripes, love how you gave it a nautical look, nice blog! Omg you look stunning as always! I love the way those pants fit! I want them! You look chic and beautiful Veronica! I love stripes and neon on you :) I invite you to visit my blog sometime. Love this bright look!! The flowers look gorgeous. the classic stripes with the bold neon is just great!!!!! WOW! what an incredible outfit, you look amazing! absolutely love your blog! gorgeous pants!!! and how gorgeous is the bracelet? stripes and neon really go great together, i love this combination! definitely one of the best of IFB Stripes post. LOVING the aviators. I need those! You are seriously rocking those aviators. Love it.